Please forgive the wall of text. It is an attempt at a one time fits all fyi so that we can get back to focusing on what we want to focus on, playing MWO via voice comms coordination. By way of introduction, Odin's Host is an FRR faction unit that is the manifestation of a long standing underground resistance effort, fighting a mostly covert war for the benefit of the Rasalhague Principality and the now Free Rasalhague Republic. Our foes have called us "Hell Devils" and that suits us just fine for we are the savage Berserkers and Valkyries of the battlefield who scythe foes down as handedly as any combatant. Ragnarok is upon us and in this cause of liberty, we fight under the leadership of Odin himself. Our unit is a motley assembly of warriors born on local star systems as well as from the farthest reaches of human exploration. It is here, in the FRR where the cry to rally has been called and Odin 's banner has been epicentered upon the Rasalhague system. The Parent Unit is the FRR Rasalhague KungsArmé (Royal Rasalhague Army). MechWarriors of Odin's Host derive military authority from the formation in 3027 when the 1st Tyr Regiment was publically formed. Because the Rasalhague had been so routinely victimized and preyed upon by foreign powers, the Odin's Host military force was created in tandem with the 1st Tyr Regiment as a secret redundant force. While the 1st Tyr Regiment was public and honored the lesser God of law and heroic glory, the Odin's Host was private to the point of secrecy and honored the God of War, in all it's savage truths of what war really is. Because of the secretive nature of the organization, the unit has more in common with an independent mercenary unit than a house unit. The lack of formal recognition by Rasalhague KungsArmé grants the public leaders of the Republic with plausible deniability of our activities. Often times, we are perceived as a myth. From 3027 until present, Odin's Host has operated in the underground of over 16 regional planet systems including Rasalhague, Dawn, Leoben, New Bergen, New Oslo, Hermagor, Balsta, Radlje, Svelvik, Susquehanna, Trondheim, Vipaava, Pomme De Terre, Bruben, Skallevoll, & Outpost. As the events of today are wrought with unprecedented peril, ranking members of the Corps have decided to reveal ourselves and take our formerly covert war efforts onto the overt battlefields. Since the network of Odin's Host was developed underground, we suspect that other elements have remained intact to this day, and we call upon you to join us in rallying to the banner in the preparation of war soon to befall us. It is our belief that other individual warriors and units also harbor the Torc of military authority. Whether locked away in a secret vault, worn hidden beneath clothing as a tattoo, or whatever method of preservation you maintained the charge, we call upon you to hear this call to arms and reveal yourself by standing with us in Brotherhood! The ancient military force that fought for the Nordic heritage that colonized the star systems around Rasalhague and holds to the fierce warrior spirit that refuses to surrender. We may not win all our battles but we win the war because we will never give in. We will not be conquered! The heart of the Rasalhague Principality has resisted foreign rule against the worst the Universe could throw at her. In the eye of the Norns, even the mightiest of Clans sought an accord rather than attempt a permanent conquest. The recognition of the FRR was short lived in the scheme of history and whatever the future may hold, but the human spirit of freedom is undefeatable. The Tyr & Odin units will not die, for the ideals are embedded into the very nature of their humanity. Decades of struggling against hated enemies and backstabbing allies, our underground network of warriors continue to find ways to wage guerrilla warfare, using tactics the enemies often times failed to realize were being used against them. In the overt war where our open combat defeated enemy units, our deeds go unknown due to government cover-ups and propaganda. But we care little about such news blackouts of our successes, for we know of our worth and our accomplishments. Outsiders tend to be more trouble than help anyhow. The size of our organization waxes and wans as the cycles of Terra's ocean tides. At the worst of times we can always field at least a company of warriors in their battle gear on any of the planets we have a presence. Though we love and will defend the life of our royals with our own last drop of blood, it is the heritage of the ancient Northlander ways that drives us. Rasalhaguean patriots or foreign blooded allies, we welcome all who could take up this fight for freedom with us. War gear, technical support, intelligence resources, combined arms teams, battle mechs, drop ships and even jump ships were spread across the star systems in stealth. Today we reveal our existence and unfurl the banners for kindred spirit warriors to rally in support. 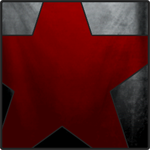 If you share our cause and yearn to join your might to ours, seek us through Comstar NA. When CW goes live, we intend to join forces with other FRR loyal units to coordinate war efforts for common goals. 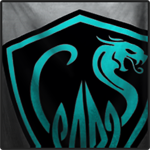 Some of you know me from the years of MWO activity, some may recognize names of members from casual combat drops, for those that have not had previous contact, please consider the following. We are about playing MWO as good sportsmanship players who use a level of casual teamwork but sometimes elevate the level of seriousness for competitive play. We do not intent to spend a great deal of time in practices and are not going "pro", although we can certainly respect those that take it to that level. We're more in the middle of the road in that regard and want to keep our focus off of website administration and the daily hours of forum review, but rather on the group in TS and launch that dropship. We have a leadership structure per what players choose to say and do in the coarse of playing MWO. We believe players are capable of deciding for themselves, and have the right to choose, their depth of gaming experience by actively leading and following as their see fit during any gaming session. Circumstances change. Interest levels change. Our structure eliminates the potential need for "changing of the guard style" leadership turnover. Your accomplishments and leadership are a matter of notoriety not a subject of authority. Who leads the unit Odin's Host? Well, it's all depending on the forum, who is available, and who chooses to embrace the leadership need of the moment. Odin, the God of War, in his many identities is our NPC leader. 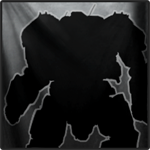 We may have central player character figures as members of the unit who shine for one reason or another at one time or another, but the goal is to provide an atmosphere of empowerment for our members to embrace the game of MWO in the various ways they want to play it. In practice, see our admin contact or ask anyone who is known to be a member or friend of the unit, they will know who the best point of contact is for your purpose. If you have a need unrelated to what we are able to provide a point of contact for, then it is likely a topic that is outside our focus of playing MWO. If you want to know who leads our strats and combat drops, that info is available through live interaction on our voice comms and the answer is self-evident based on a voluntary/availability basis of who is taking point in that activity on that occasion. Edited by Jaxwen, 08 December 2013 - 09:44 PM. I love this idea. It gives people who don't want to pledge allegiance to a certain group a more unified identity. Good luck!. Thanks Brother. Sorry about all the editing, we are actually cleaning up the text as a group effort via voice chat. Talk to ya soon!! I pledge my support in this fight! Step forward my brothers and sisters for now is the time, let us meet our enemies on the battlefield! Edited by Bezerkah, 08 December 2013 - 07:31 PM. The Wild Hunt has begun! Isengrim looks forward to working with you. The FRR Hub is a good place for everyone to group up and chat. Hope to see yawl on there sometime. Happy hunting! !